Up until a few days ago, I’d always assumed that all marshmallows were basically the same: white, fluffy and sugary. 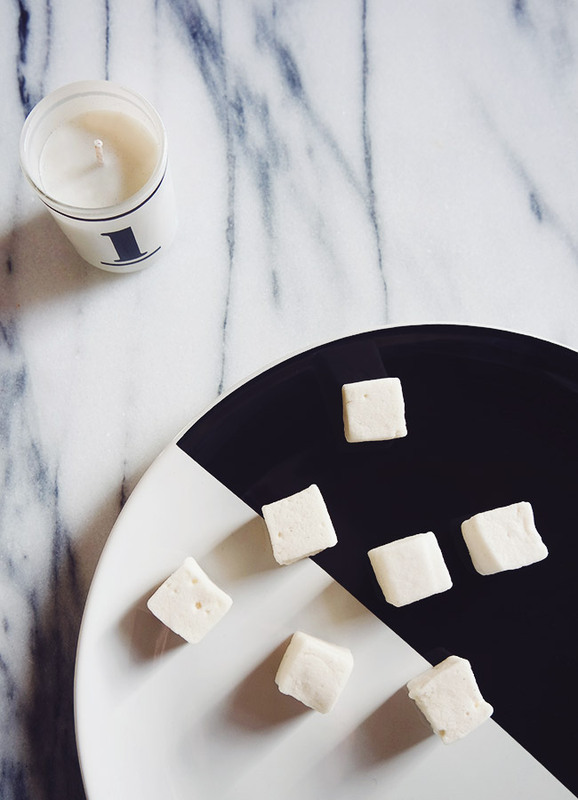 And, it makes sense — marshmallows are a cheap commodity at grocery stores and a “nice to have” when the mood to decorate your hot chocolate strikes or a summer night of camping calls for s’mores. But beyond that, they’re pretty basic and overlooked. Well my friends, I was wrong about all marshmallows being created equal. 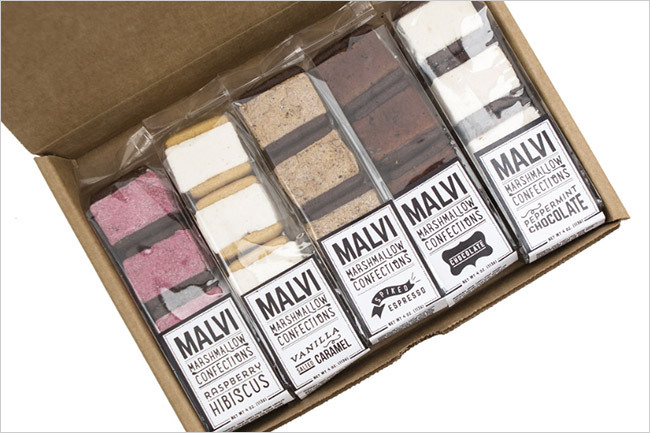 Malvi has changed the game for good. A few days ago, a very thoughtful sponsor sent a box of these sweet treats to my doorstep as a Valentine’s Day surprise and lord almighty, these babies pack a flavorful punch. Raspberry Hibiscus, Red Velvet, Spiked Espresso and Vanilla Salted Caramel are all up for grabs. 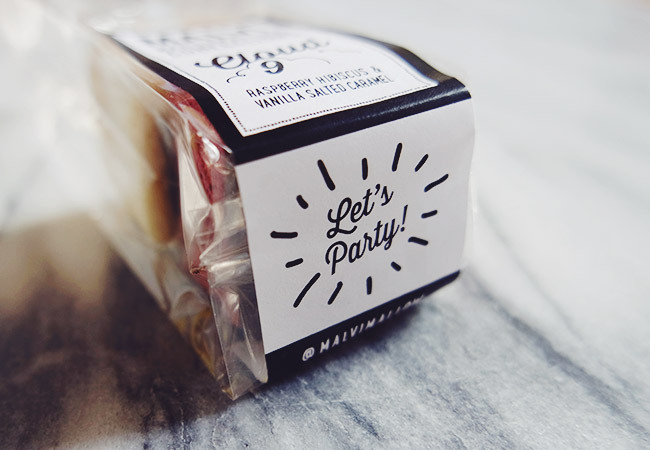 I think these little packs would make such great client gifts and goodie bag treats at a party. The branding is spot-on as well. It has a hand-done feel but the black and white color scheme keeps the overall look from venturing into total kitsch territory. 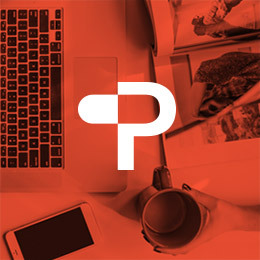 The spare, simple packaging gives it a sense of confidence — there’s no need to shout from the mountaintops that these pieces of pillowy goodness are the shiznit…because one bite is all it takes to seal the deal. 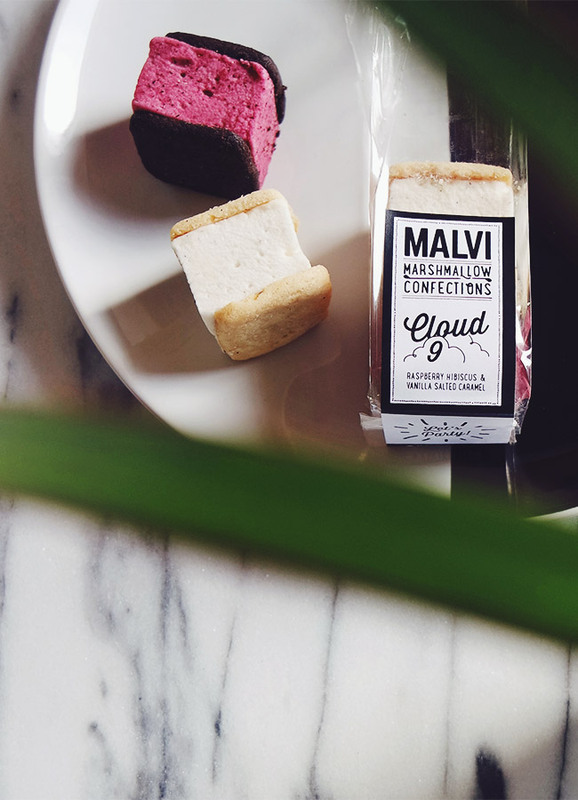 Oh, in case you’re wondering about the name, Malvi is short for malvavisco which is the Spanish word for marshmallow. Pretty great, right? Less Made totally nailed the branding and website. 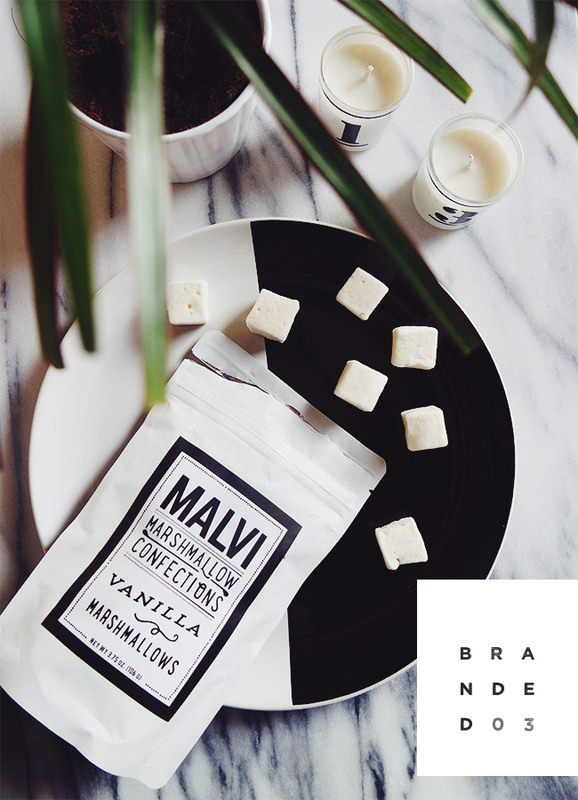 I love discovering these great independent brands and the talented designers who make them happen. Now, I just need to throw a party so I have an excuse to order a boatload more of the vanilla salted caramel marshmallow sandwiches. Because, as you probably guessed….they disappeared quite fast as soon as the last photo was taken. Images: Shauna Haider and Malvi. 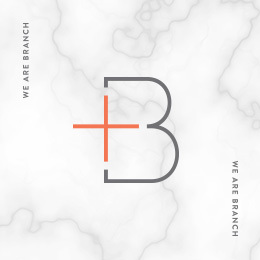 View more Branded posts here. 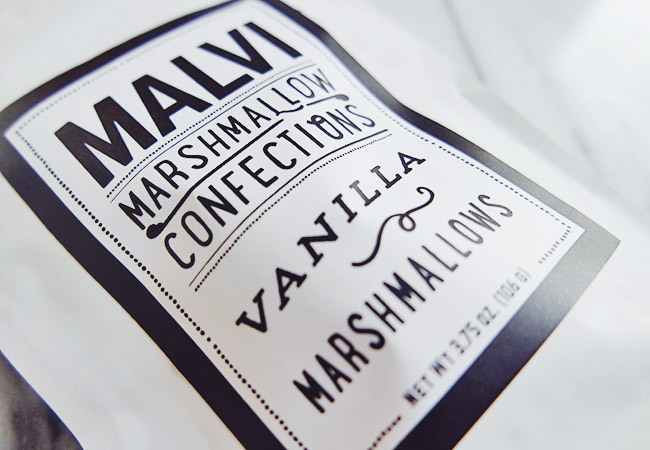 Now I don’t like marshmallows (I know…) but love the branding. Ha, well that’s the sign of some great branding right there! Oh man, those marshmallows look amazing! 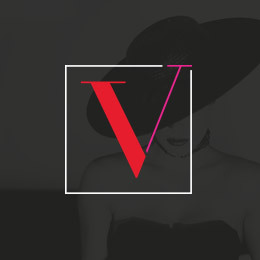 The branding is pretty awesome too.